“The Tallest Tale!” available now! A new picture book for children from Karadi Tales! Written by the very talented Anushka Ravishankar & Illustrated by Chetan Sharma, available online and in stores! Incorporated in 1995, Animagic the studio was established in 1997 and joyfully completes a momentous 20 years!!!! Love and regards to all animagicians past and present and all whose love, support and blessings have made us what we are!! Three cheers!! Swami Ayyappan nominated for FICCI BAF ‘Best theatrical feature”!! Chetan made a quick survey of many ways of creating different types of animation films from ads to shorts to TV series to features based obn Animagic’s own journey of almost 18 years. From the free flowing development of independent shorts like ‘Raju and I’ to the intense layering of a feature like ‘TRIPURA’. Also covered in this breathless session were aspects of Character Development, Background Design as well as storyboarding and choreography of scenes from films like MAA-AA-aa , Chakachak and Swami Ayyappa that left the audience wanting more tho the time had run out!! Swami Ayyappa premieres at ABAI fest Bengaluru! The much awaited 2d animation film, co-produced by Toonz Animation and Animagic India premiered in Bengaluru as an exclusive event for the ABAI fest and KVGC Summit. The screening which started at 8pm in an open theatre specially erected for ABAI was preceded by a short presentation on the making of the film. by the two directors, Mahesh Vettiyar (who also wrote the script) from Toonz and Chetan Sharma from Animagic who storyboarded and designed the film. The presentation and the film that folloed were much appreciated and the positive feeling generated was strong enough to call for a second screening which duly took place the next day! Bravo Team Ayyappan! Award Winning ‘Swami Ayyappan’ trailer on youtube! Finaaly the TASI Anifest 2013 & FICCI BAF award winning trailer is online! Do check it out! Please like and share! 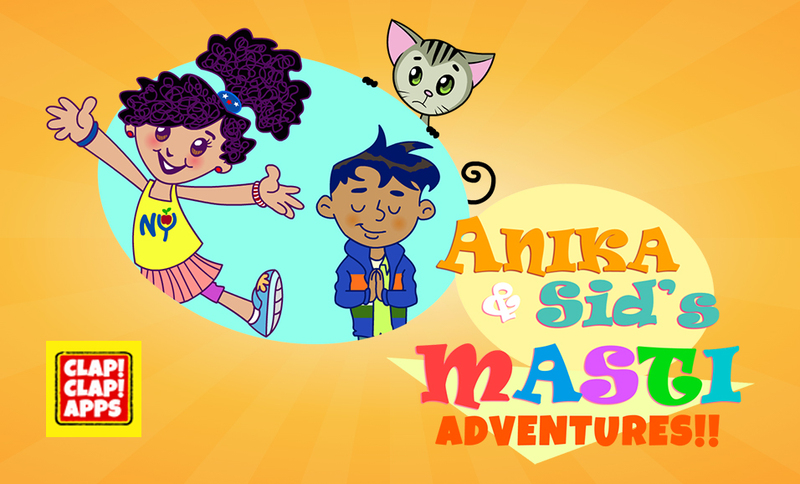 Annika & Sid are coming soon!! A Vibrant, multi-dimensional, Hindi vocabulary-learning gaming app for South Asian kids! Please do look up clapclapapps.com Visit the facebook page and hit LIKE!! Arena ‘ORBIT LIVE’ and Kalakari fest Mumbai! 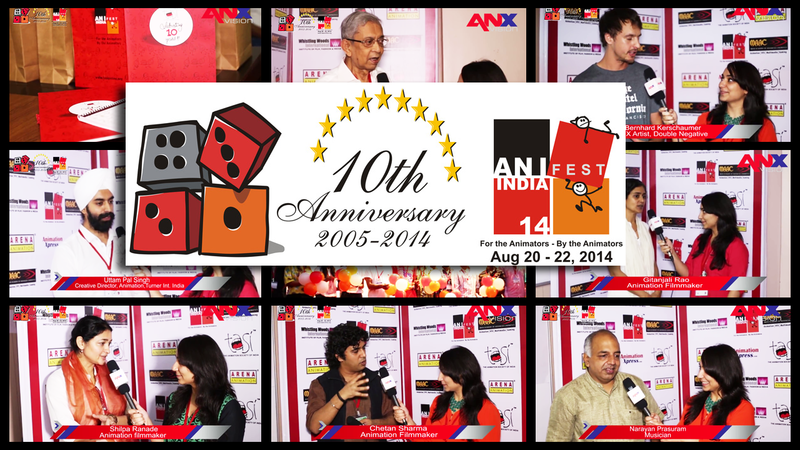 The three day fest by Arena Animation saw 3 workshops and masterclasses by Chetan. Day1 was the ‘Sketching Ki Paathshaala” session for the Kalakari Fest. Day 2 & 3 saw 2 intensive sessions on ‘Character Design‘ & ‘Acting for Animation’ Finally the Orbit Live closing ceremony was an extravaganza with awards given out to Industry Lion hearts. Chetan was very touched to receive the award for his legendary mentor, Ajit Rao. 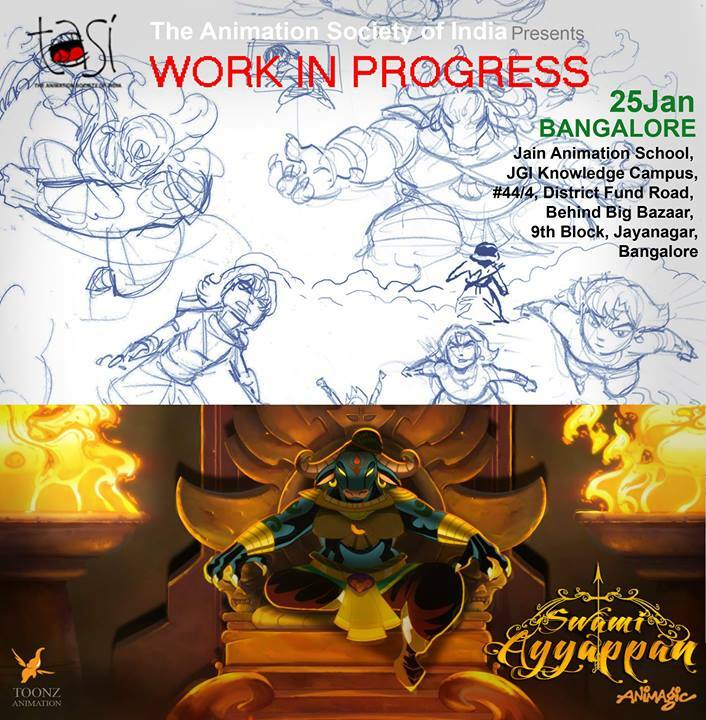 Day 3 of the 10th Anniversary edition of TASI ANIFEST saw ‘Sketching ki paathshaala’ with Chetan Sharma; Visual Development with Griselda Sastraniawata-Lemay from DreamWorks Animation; Music for the visual with Narayan Parasuram and finally a session on the VFX of ‘Hercules’ with Double Negative’s Bernhard Kerschbaumer. watch the video from Animation Xpress.com by clicking here! TASI ANIFEST celebrates 10 years!! On Air: Popstar Munna Makai!! Munna Makai finally airs in Pakistan. Made for GS communication the ad is for a Shahi’s popular brand of corn pops! On air: YO YO Sunny Singhaaaa!! 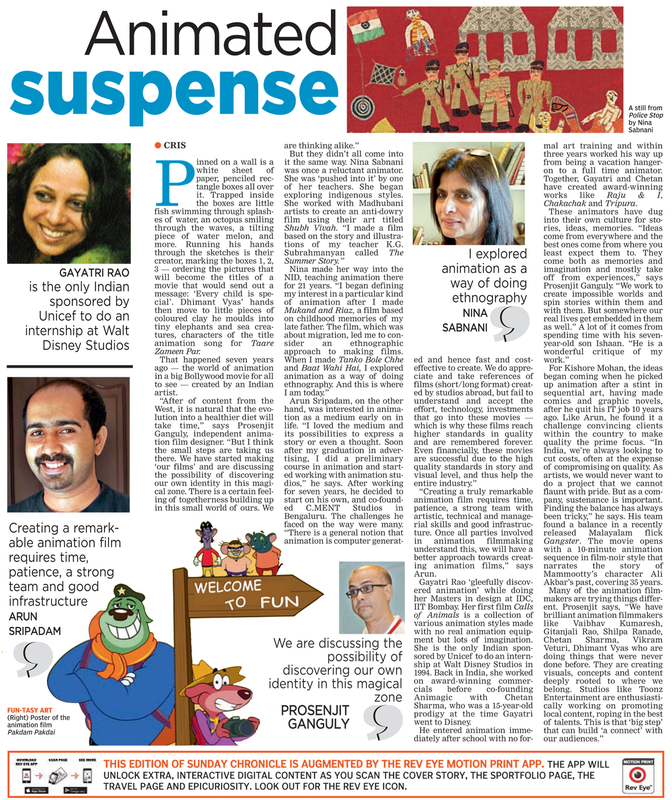 Deccan Chronicle features Indian Animators! “We decided to bring together the Indian animation masters to discuss a road map for the Indian animation industry as well as provide a platform for animation enthusiasts to meet and learn from them” said P Jayakumar, CEO of Toonz Group. Trivandrum based Indian animation major; Toonz Animation has announced its new edition of the landmark ‘Week with the Masters’ program. Organized as part of the 15th anniversary celebrations of the studio, the Indian Animation Masters Summit 2014 will bring the who’s who of the Indian animation industry to the State capital on 25th and 26th of this month at Kanakakkunnu Palace, Thiruvananthapuram. 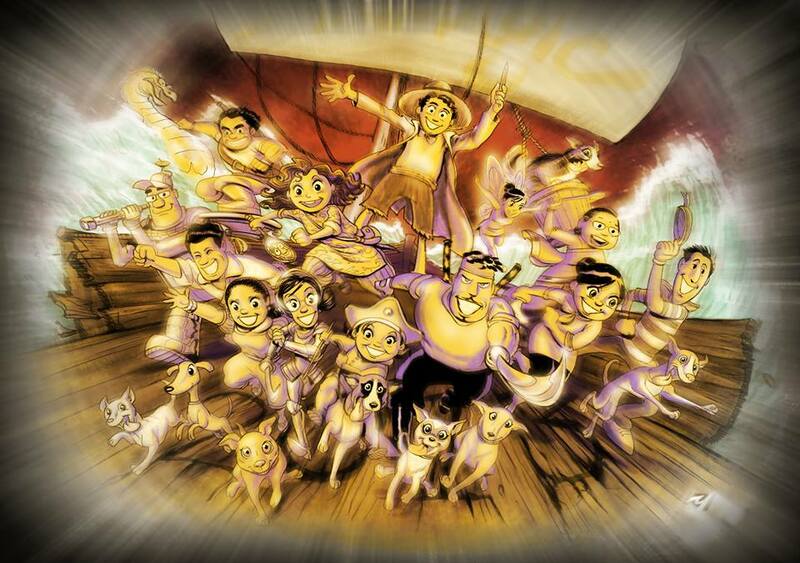 read more on Animation Xpress! 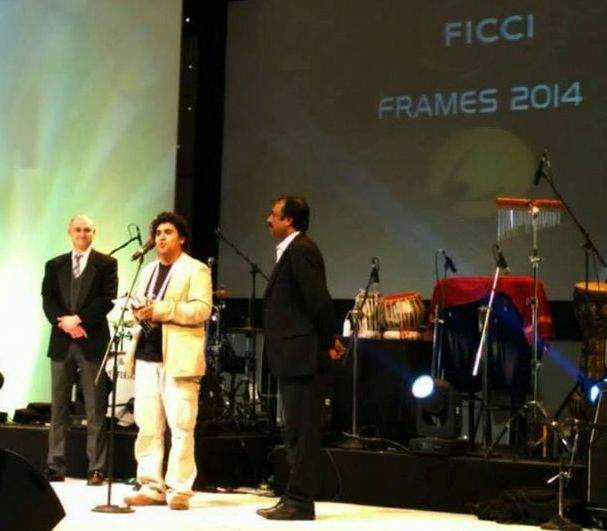 Swami Ayyappan wins at FICCI FRAMES! Swami has done it again! The 2 and half min trailer has won the FICCI FRAMES 2014 BAF Award for Best Animated Promo International! 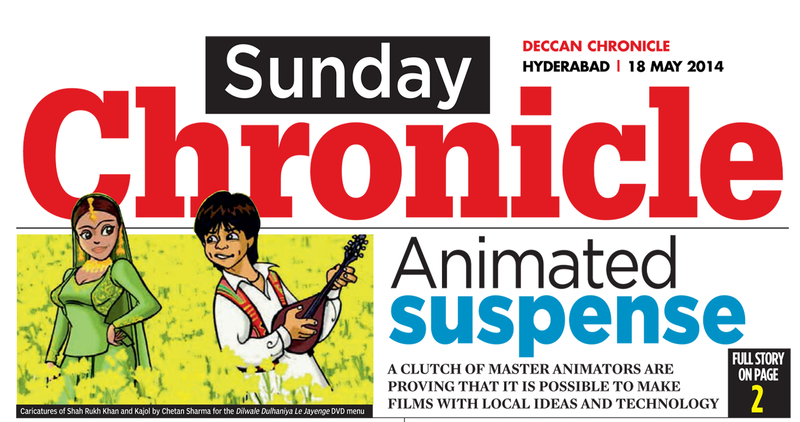 Thanks FICCI, the jury and all at TOONZ & supporters! 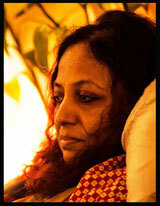 Gayatri in AX’s International Women’s Day Special Conversations with women creators in Animation & comics! AnimationXpress.com is celebrating the spirit of International Women’s Day by saluting the Women in Animation and Comics Sectors of Indian Entertainment Industry. “…For most artists and this is especially true of women-filmmakers in animation, their work is an extension of who they are. So for me Animagic itself is work-in-progress and the studio & the films we make are a reflection of our own journey in animation & life. In keeping with that, we can look forward to stories about the ecology, spirituality and dogs! All of this and more in the coming few years… It’s going to be another long haul. Read the full article with all the wonderful ladies in our field! 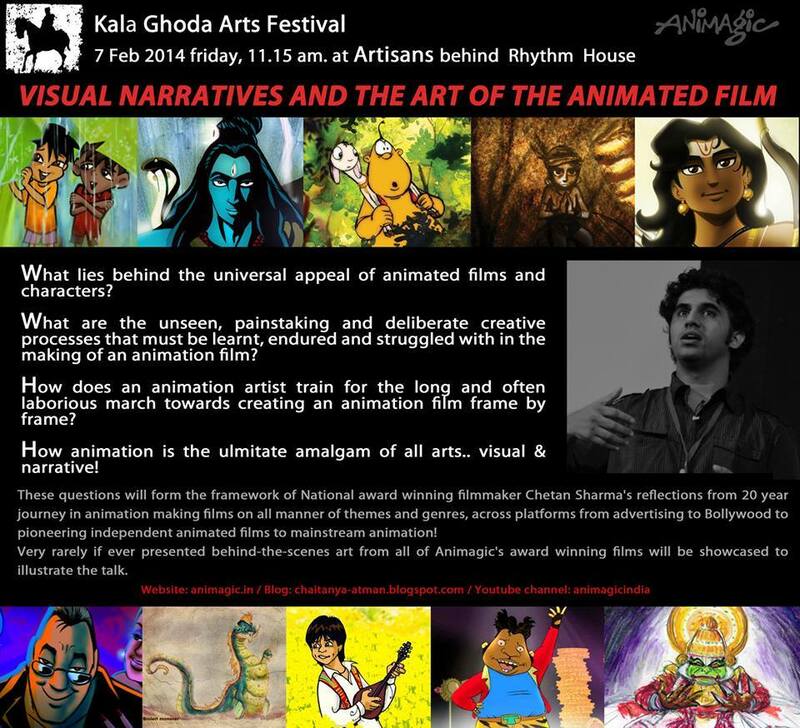 Talk session @ Kalaghoda Art Fest tommorrow at 11.30am! Workshop & session in Kalaghoda Art Fest! Animagic is going to be at the KALAGHODA ART FEST this year!! 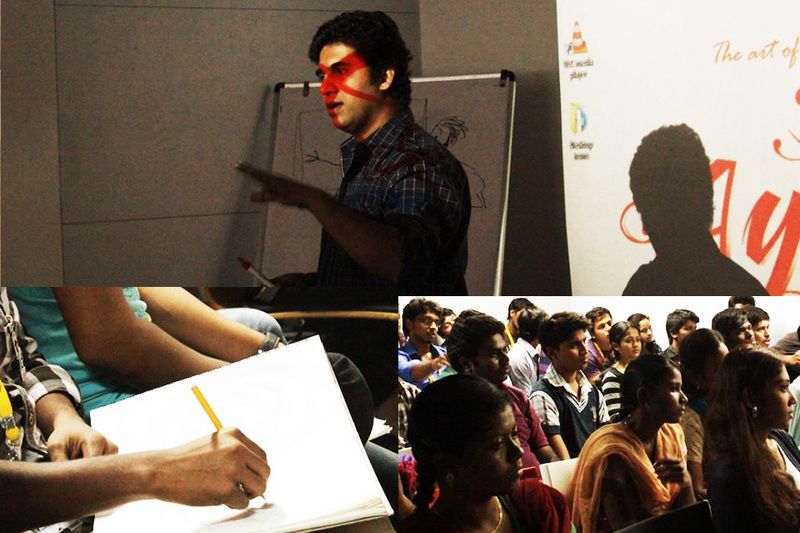 First in a one of its kind workshop on drawing in associatin with TASI- “Sketching & cartooning for Everyone!! Even those who can’t draw! Featuring live demos, clips and mass sketching session by India’s finest animation gurus – Vaibhav Kumaresh, Chetan Sharma & Vaibhav More, the workshop will enable participants to discover the joys of drawing… their own unique ways of ‘seeing’ and ‘expressing’ along with tips and tricks for animated cartooning!!! The second is a talk by Chetan Sharma: Visual Narrative and the Art of the Animated Film : National Award winning Animator and filmmaker, Chetan Sharma‘s reflects on a 20 year journey in animation making films on all manner of themes and genres, across platforms from advertising to Bollywood to pioneering independent animated film to mainstream animation.Very rarely if ever presented behind-the-scenes art from all of Animagic’s award winning films will be showcased to illustrate the talk. Chetan Sharma conducted a session for MAAC Annanagar on his recent visit to Chennai. He initiated the eager class into the simple fundamentals of sketching and then shared with them some of the artistic details behind the ‘Swami Ayyappan” project, which were inspiring for the students! Thanks to MAAC Annanagar & Anandh Ramesh! 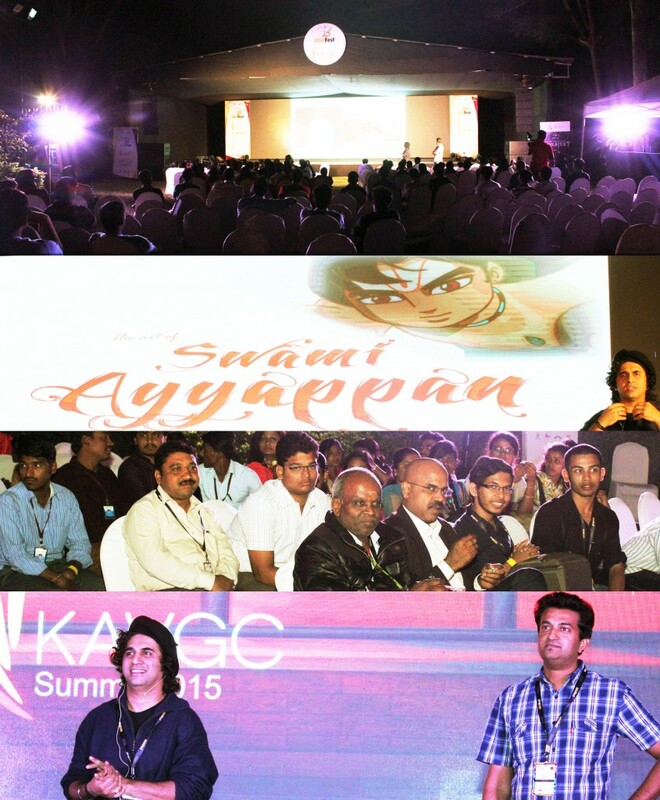 ‘Behind the scenes of Swami Ayyappan” in Bangalore & Indore! Its back by popular demand!! TASI’s “Work in progress” session with Vaibhav Kumaresh & Chetan Sharma is now going to Bangalore (25th Jan 2014) and Indore (8th feb 2014)! All are invited!! Happy New Year!! Lets rock 2014! From all of us at Animagic… sincere wishes for an exciting and boisterous 2014!!! Rock it! Tripura, MAAA-AA-aa!! and Raju & I screen at 1st ABAI fest! 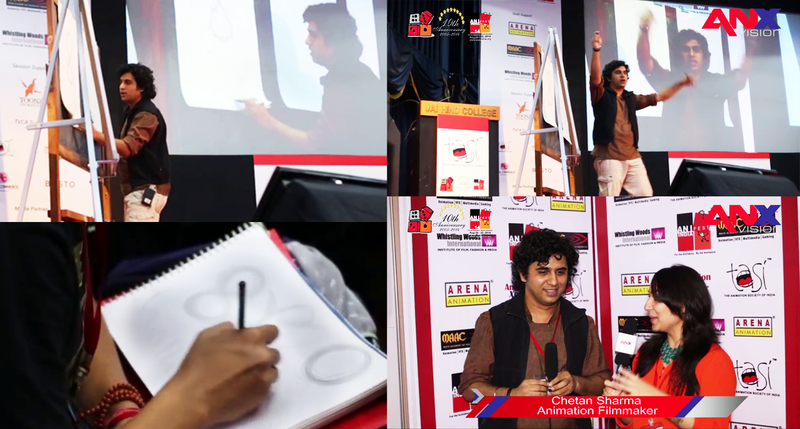 The Association of Bangalore Animation Industry (ABAI) organized the 1st ABAI FEST 2013 on 6th and 7th December 2013 at University Grounds in Mysore. Animagic 1st feature “TRIPURA- The three cities of Maya” was screened in the Indian features package. “Raju & I” & MAAA-AA-aa!! were screened in a package of the best animated shorts ever produced in India, curated by Akshata Udiavar of TASI. We sincerely thank the people of Mysore, Karnataka & the folks at ABAI!! !